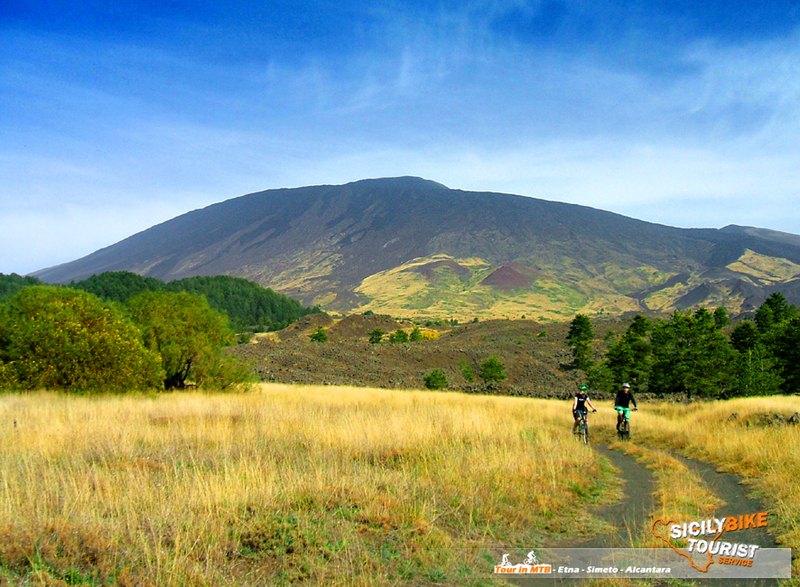 The purpose of this Mountain Bike tour on the Etna volcano, is to test yourself … exhausting climbs and fast descents await you on the Etna volcano trails. 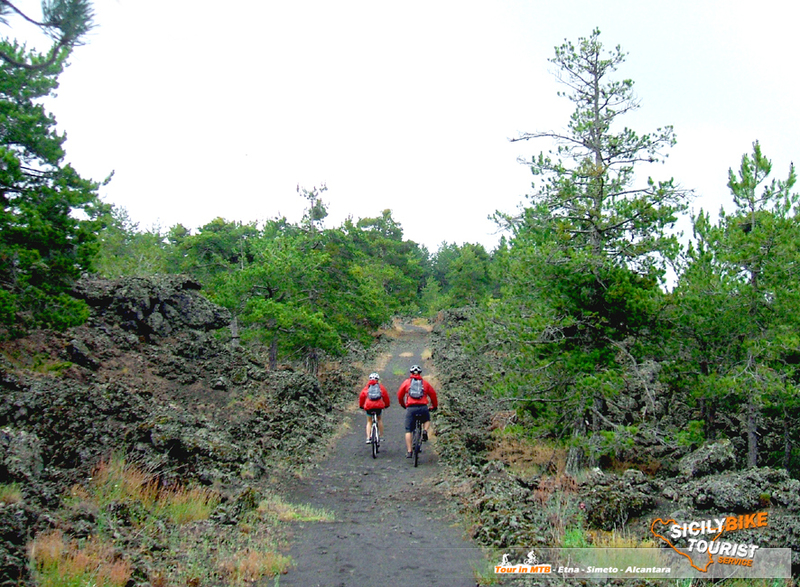 Ascents, descents, single tracks, paths immersed in the old castings and centuries-old woods… lava scenarios and breathtaking landscapes will not leave you disappointed. 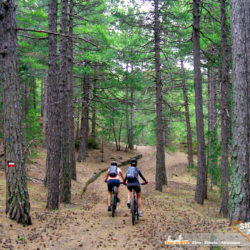 Circular route, starting from Piano Vetore (1,750 mt) from there we will immediately enter the living, immersing ourselves in the saddle of mountain biking in a dense forest, full of climbs and descents fun and fast, then exit and continue along a dirt road characterized from a sandy and landscape without equal. 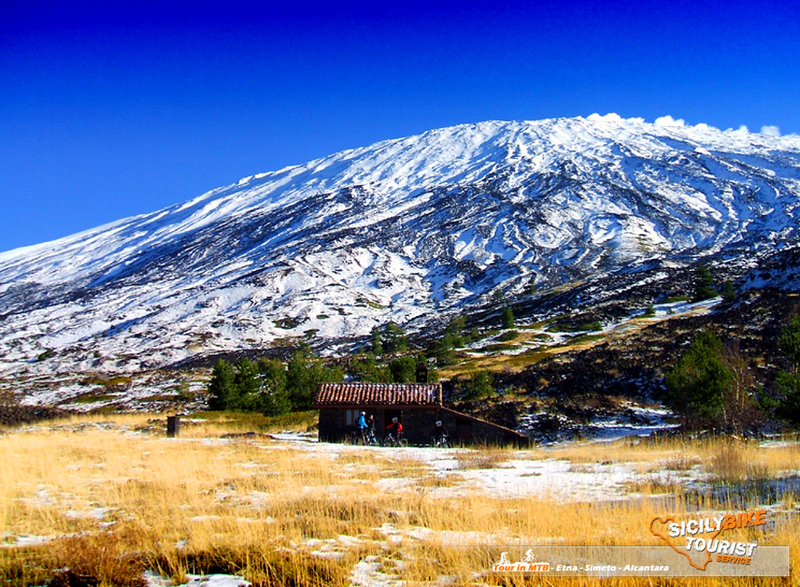 We will go towards Galvarina Hut (about 1,900 mt) where we will make the first stop. 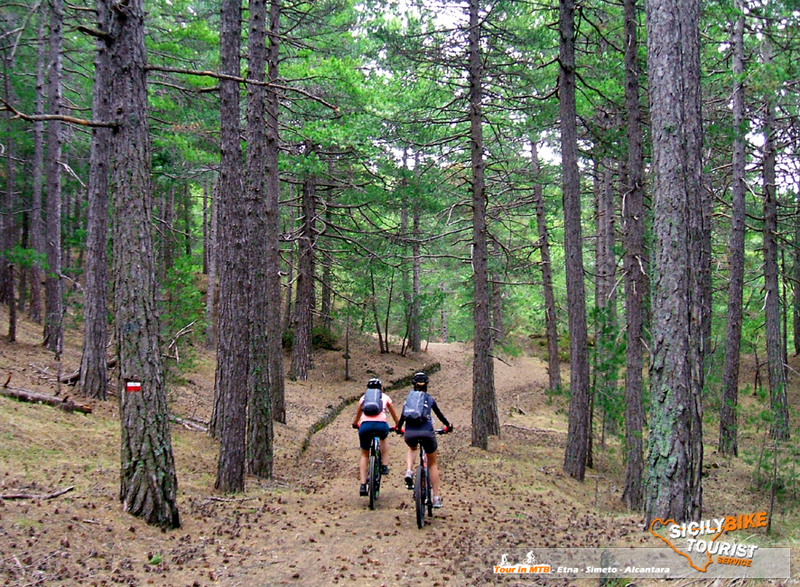 From there… we will go mountain biking to a characteristic Etnea descent… full of long, sandy and fast bends… towards Gallo mount (about 1,560 mt). From now on, between guided tours and greedy climbs of your sweat… the test will be really hard, and before you reach the 1,750 mt of Piano Vetore again… you can test your technical and physical skills. 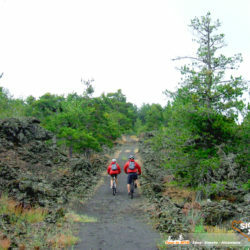 Path: Challenging (technically and physically), 100% Off Road. 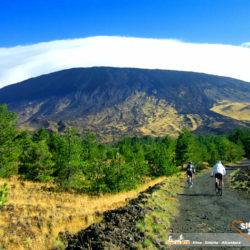 KM and duration of the Tour: Cycling tour of 23 km (approx. ), Duration 3/4 hours (approximately), according to your physical abilities. 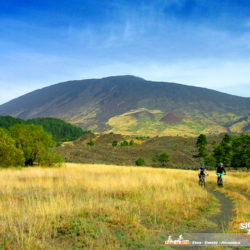 Do not be fooled by the mileage … the difference in height, the bottom (sandy and treacherous), and the altitude, will really put you to the test. 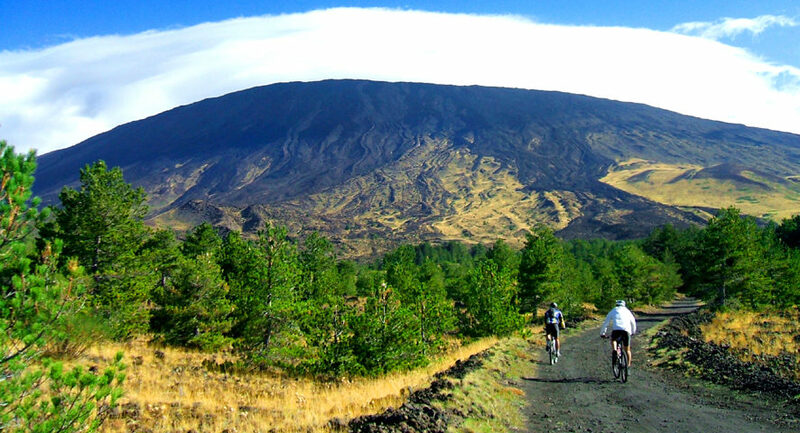 It is understood that it is not a tour suitable for everyone, it requires a good physical and cycling preparation. Type of MTB course: XC / Trail. 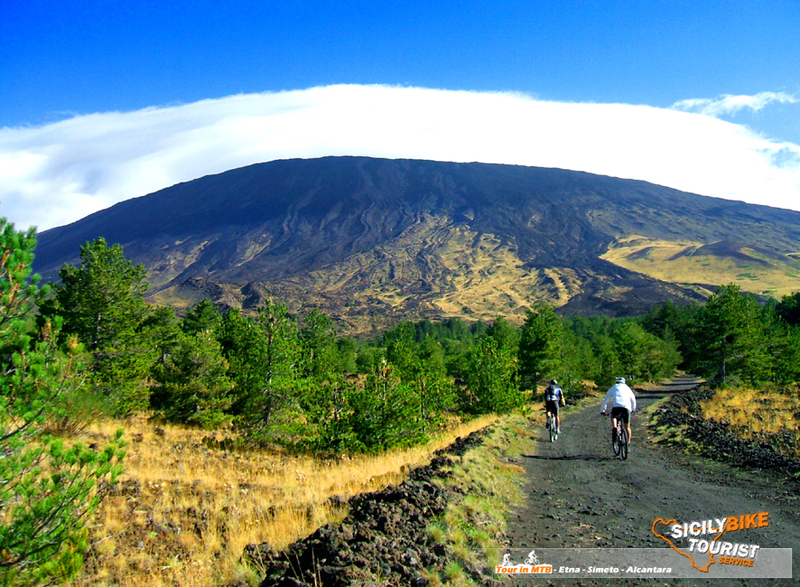 * € 60.00 – 1 participant (exclusive reservation of the Tour). * € 45.00 – each person, for a minimum of 2 participants for a maximum of 4 participants (exclusive reservation of the Tour). 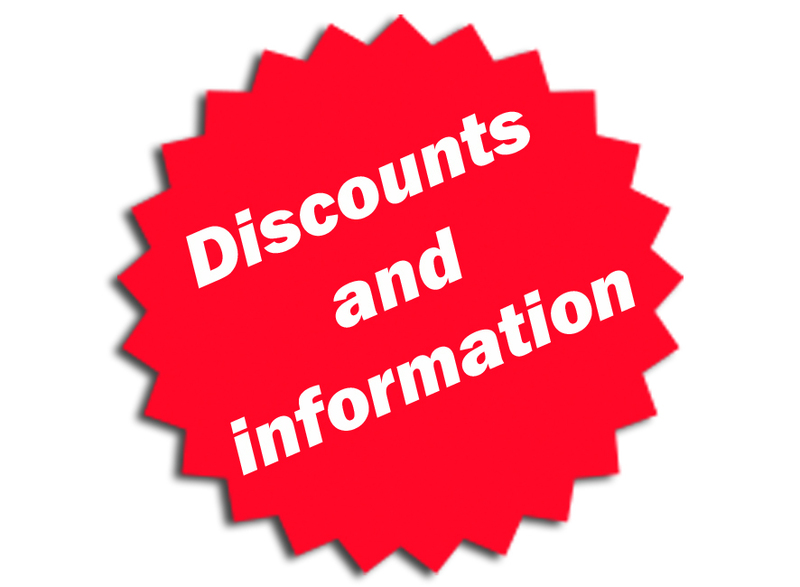 20% discount on the cost of the Tour, with a minimum of 2 participants, applicable exclusively to online reservations (E-Mail or WhatsApp) at least 15 days before the date chosen for the tour. 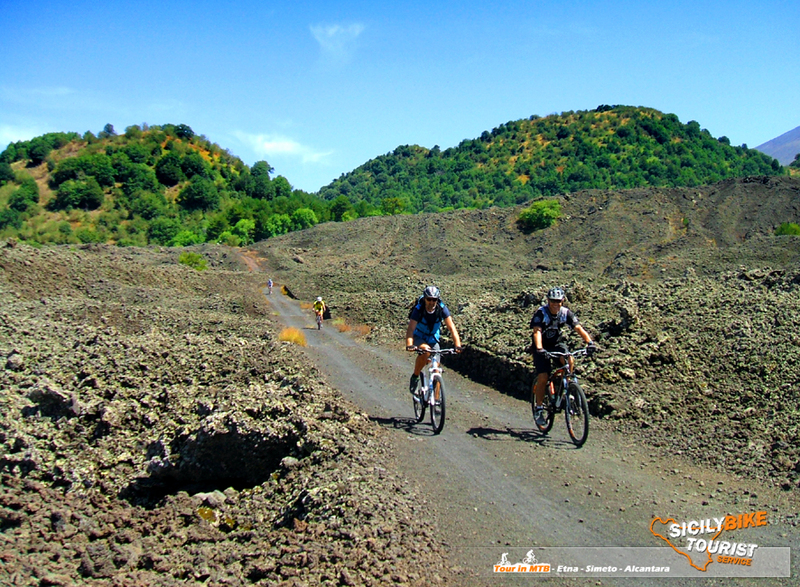 IMPORTANT: The prices above are not inclusive of Pick-Up service (booked exclusively as extra), the departure for this tour is from Piano Vetore (Nicolosi), Etna Sud, where you will find: Guide, Bike and all the necessary equipment. wind jacket, water bottle (500ml), energy drink (500ml), energy bar, energy gel, energetic fruit jelly and insurance coverage RC.